Reds broadcaster Thom Brennaman, a 1986 graduate of Ohio University, received one of the biggest cheers of the Reds Winter Caravan when he was introduced at The Market on State stop in Athens, OH tonight. 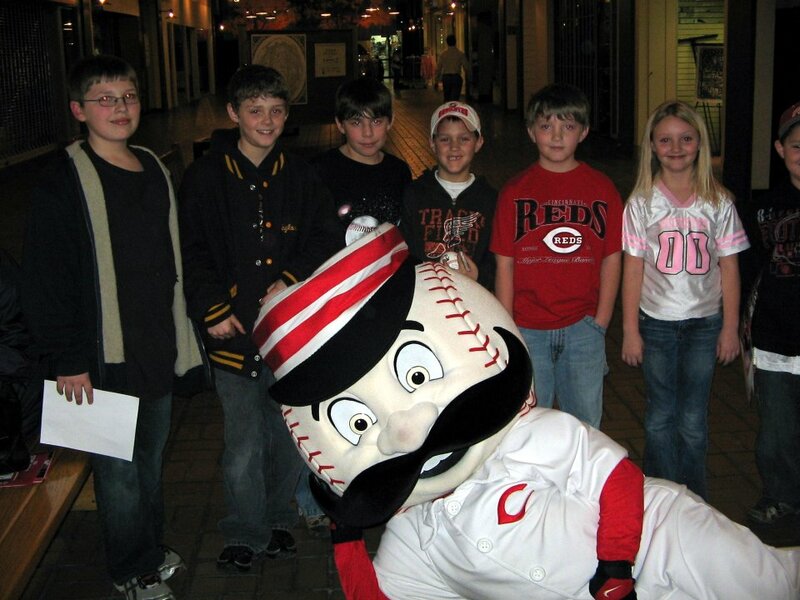 Thom had the crowd of several hundred eating out of his hand with stories of how, on Thursday night, he took the Reds Caravan group to his favorite establishments on Court Street. The Caravan crew ran into a huge group of OU students from Cincinnati, many of whom showed up at the caravan stop this evening. 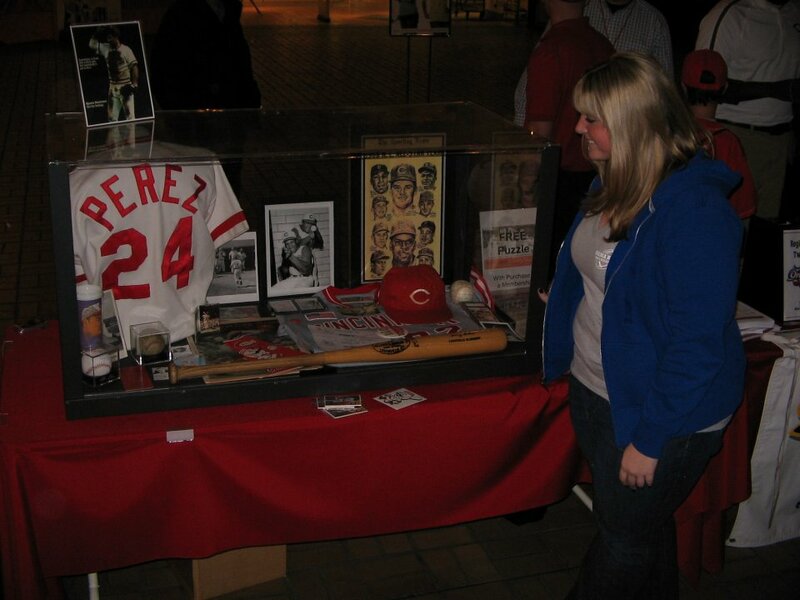 Below, Reds fan Megan Doster checks out the Reds Hall of Fame’s display in Athens, while a group of young Reds fans enjoys visiting with the ever-popular Mr. Redlegs.